Results of the official autopsy for Stephon Clark released on Tuesday produced dueling narratives for how the unarmed Sacramento man was shot and killed by police. Sacramento County coroner Kimberly Gin slammed the independent autopsy requested by Clark’s family as “erroneous,” citing a pathologist she tapped to fact-check the findings. Dr. Bennet Omalu suggested in March officers shot Clark six times from behind in his grandmother’s backyard, while the official post-mortem suggests he mistook an exit wound in the thigh for an eighth entry wound. The alleged error would mean 22-year-old Clark was shot at least once while facing the officers that confronted him, according to Dr. Gregory Reiber, who reviewed the autopsy results for Gin. Reiber believes a gunshot wound to the thigh “most likely” came from the front, the Sacramento Bee reported, while the rest of the entry points were from behind. 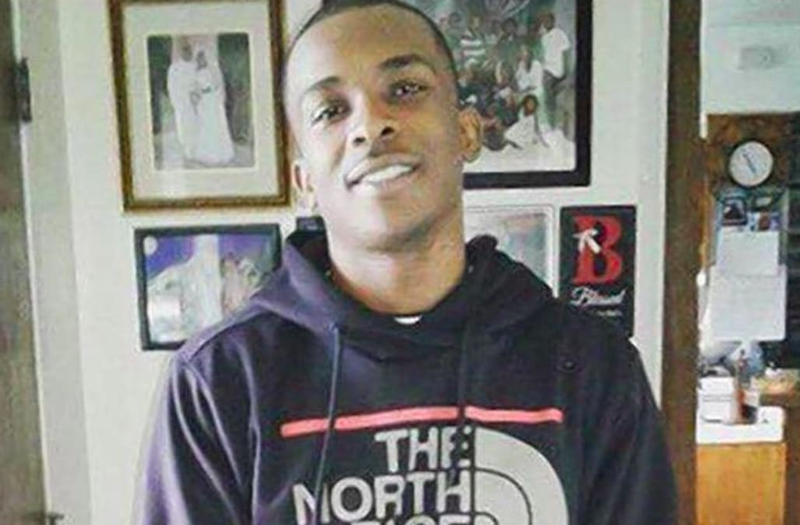 Stephon Clark, 22, was killed in a fatal officer involved shooting in California in March 2018. Police helicopter and body camera footage was released of the shooting. Gin shared Reiber’s findings in a letter to the Sacramento Police Department on Friday. Her letter states she had at least three more doctors review the autopsy, which was conducted by Dr. Keng-Chin Su two days after Clark’s death. All the doctors agreed with Su’s findings, Gin wrote. Omalu on Tuesday questioned Gin’s use of an outside doctor to prove him wrong. "I find it extremely unusual that an outside doctor is reviewing an autopsy report,” Omalu told the Bee. “A doctor cannot say another doctor is wrong. All you can say is, I don’t agree with the opinion of that doctor,” he said. The toxicology findings also show Clark was legally drunk and had traces of marijuana, cocaine and codeine in his system at the time of his death. Police searching for a neighborhood vandal mistook a cell phone that Clark was holding for a firearm and shot him during the fatal March 18 encounter. Omalu’s findings shared at a stunning press conference vastly contradicted the police version of events and fired up another round of outrage-fueled protests in the California capital.